We are taking all our low quantity tile (<300sqft at this writing) and reducing the price by 50% if you purchase the last remaining boxes. Whatever is remaining is 50% off if you take all. Look for these awesome stickers scattered around the warehouse inventory!! Save an incredible amount of money!! 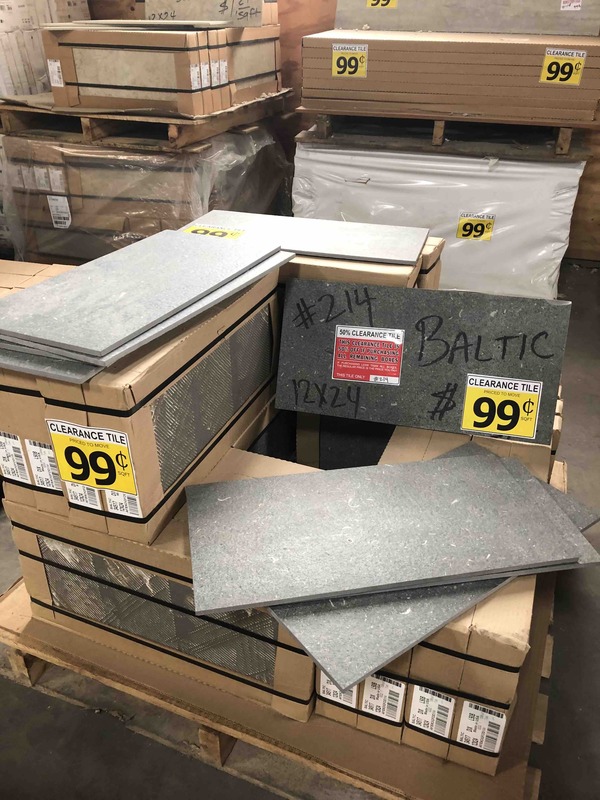 Some examples are Vivaldi Winter at $1.49 reduced to 75 cents.....online price is $6.50 sqft. Other tiles at .99 for .49 cents. Most of this tile reduced are popular styles since they are near the end. This is not boring or unpopular colors. To help you quickly navigate the sheet, look for tile numbers in GREY. No returns, no exchanges, AS-IS, etc etc. No other discounts apply. Some tiles may be excluded like the DECO tiles. And for those of you that like to coupon a coupon, we have the 50% off the 99 cents clearance. There are not as many of these deals around the warehouse, but in some cases you will find a 99 cents special with our 50% off red tag reduction. 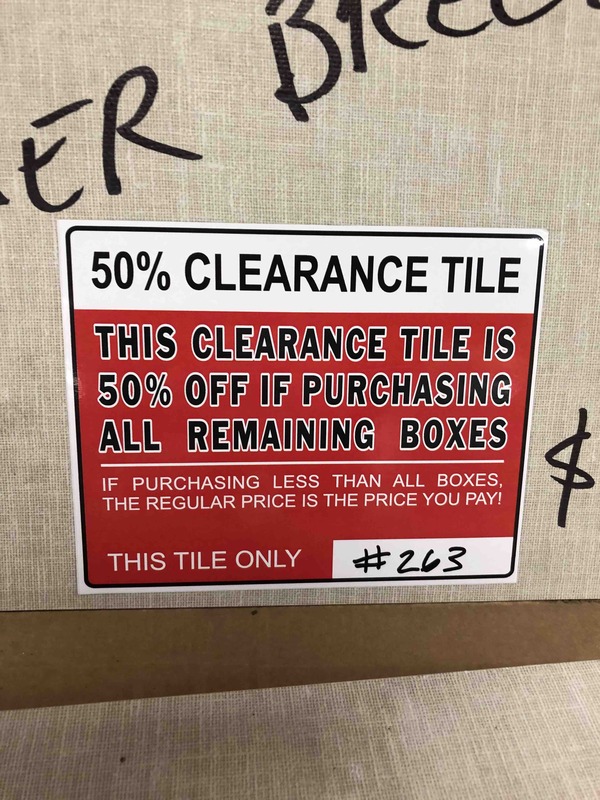 This simply means a clearance tile is about to be sold out - because red tag 50% off specials are only on low quantity inventory. Bring friends to load your purchase.